Home » Gag Reflex » Part 2: 1 Filmmaker, 3 Films. 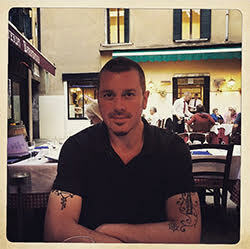 Interview with Steve Balderson. When talking to anyone in the industry, my goal is not only to find out interesting, pertinent facts about that person and their project, but also to make them feel comfortable and perhaps ask them questions they never thought about before, or have always wanted to answer. Just because someone is a huge success, doesn’t mean they don’t want to be treated like any other person outside the business. Sometimes it’s nice to take a break from rehashing the same answers and just have a bit of fun. In a continued series on writer/director Steve Balderson, we learn a little about Steve’s past and a lot about his present, just in a less formal setting. On the heels of his HELLTOWN release last week, here is my interview with Steve. I’m pretty excited to explore the mind of a filmmaker that has the gumption to defy the industry machine and do things his own way. Some of the best art ever made has been created by ‘the outsider”. So, let’s get to it, shall we? When did you know filmmaking was something of a passion? As far back as I can remember. My grandfather let me borrow his camcorder when I was a kid. I think I started making home movies at age 7. I was a bossy kid. I’d make my younger sister and brother play the parts, and occasionally would rope in the neighborhood kids. I continued making movies throughout elementary and high school. I wasn’t ever a fan of competitive sports. Making movies was where I felt at home, where I fit in. Was there a film/director that inspired you early on? STAR WARS impacted me when I was a kid, for sure. That and DYNASTY. I was really impacted by the infamous Moldavia wedding massacre. In high school TWIN PEAKS came out, so I watched Lynch’s movies. I’m not sure I was a huge fan of all of his work, but I really liked TWIN PEAKS because it was so soapy. And I’m a sucker for cliffhangers. As I continued to grow up, I fell in love with all things Hitchcock, Fellini, Kubrick. Anything based on a Tennessee Williams play. John Huston’s NIGHT OF THE IGUANA is one of my all time favorites. How does the writing process work for you? In the past I would do a lot of research, really spending a lot of time on the structure and skeleton of the story. Then when I actually sat down to write I could get the first draft done in about two weeks. I have enjoyed writing, but I am more driven to the visuals. When I’m teaching workshops I tell the group that screenplays aren’t meant to be read – they’re meant to be watched and listened to. It helps to keep that perspective in the process. Now I’d prefer to come in after the first or second draft is written, so I can see the film as a whole from a higher, more general scope. If I’m part of the details in the process, it’s much more difficult to look at it in a broad way. Is there a genre that you gravitate more towards as a fan? I’m a total cinephile but if I’m being honest, when I search for a film on Netflix, something unique and unknown, it’s usually a horror flick. It’s much different to be a creator than it is to be a viewer. It’s like the difference between being a guide or an explorer. It’s not always pleasurable for me to watch movies in general. Because I’m a guide in that area. But, when I was to watch something to escape and clear the slate, I’ll gravitate to both witty and vulgar stuff like VEEP or hypnotic nature docs like BLUE PLANET narrated by David Attenborough. Do you encourage improv on your sets? What is your directing style like? I do encourage improv. I like to let the actors play and feel comfortable to do so. So my style of directing is really to build the environment to support everyone. I want the actors and the crew to feel comfortable, and really enjoy what it is we’re making. I’m incredibly thorough when it comes to scheduling and have a revolutionary process I call the “Master Plan” which, if followed, makes it possible to never have a 12-hour shooting day. Jodie Foster, Ava Gardner, Gary Cooper. When you watch films, do you secretly rewrite them in your mind? No. But, I do ask myself how I’d have perceived that sequence or this character, and will sometimes imagine having done it in my way. I wish movies weren’t so expensive, because it’d be really fun to treat them the way all the classic songs were treated. Everybody sang the same song, but always in their unique way adding their own stamp to it. I’d love to have a single script made by everybody. Different casts, different approaches. It’d be awesome. What are the best 5 films you’ve seen recently? The last film I saw in the cinema was the new STAR WARS movie. Prior to that I took my nephews to see WORLD WAR Z, which I liked. I really can’t remember the last movie I saw. I was engrossed with GAME OF THRONES, and prior to that HOUSE OF CARDS. I’m a fan of the 10-hour movie, aka, this new model of the world called Netflix programming. What advice would you give aspiring filmmakers who don’t have any industry connections? On one hand, they don’t need them. I’d encourage the mindset to consider all the ways you can make a movie and sustain a career which you can do with the resources you have. On the other hand, I’d say, there’s nothing keeping you from sending an email or making a call. Sometimes people will hang up on you. Sometimes they won’t. You’re never worse off that you are right now. And occasionally you end up in better off. Steve, Thank You so much for taking the time to chat with me. I’m incredibly impressed with your ability to cross genres. I’m looking forward to exploring all of your work in the future. Hopefully, we’ll be talking again soon! Thanks Liz! That was really fun. You can catch HELLTOWN now on VOD. 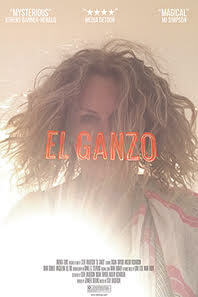 Next up for Steve is the release of EL GANZO in theaters September 9th-15th at Arena Cinemas. We’ll be bringing you that review next week.